If you're planning a date night, spice things up with these creative date ideas, each with something uniquely Baltimore. Let's start with this classic date night combination, but Baltimore style. Enjoy small plates with your date at Tapas Teatro, a bistro with Spanish-inspired dishes like paella and Catalonian-style sausage. Then head next door to the historic Charles Theater, a 1930's-era gem that screens foreign films, indie flicks, cult classics, and the occasional blockbuster. Tip: If you want to make the date last longer, grab a drink across the street at Club Charles or a milkshake at ​Lost City Diner. The Charles Theater: 1711 N. Charles St. The pizza joint in Fells Point serves up Neapolitan-style, ultra-thin crust pizza. Punk rock posters adorn the walls and skateboard videos are frequently on the TV. Enjoy dinner and head across the street to Patterson Lanes, where you and your date can give duckpin bowling a try. Tip: Patterson lanes is one of many BYOB establishments in Baltimore. Plan ahead or grab some packaged goods to go from Johnny Rads. Johnny Rads: 2108 Eastern Ave.
Patterson Bowling Center: 2105 Easter Ave.
Any O's fan will enjoy a day at Oriole Park at Camden Yards, one of the prettiest ballparks in the country (especially on a warm day). The goal for many couples is to see their smooching faces on the "kiss cam," but you don't have to make it on the big screen to have a great time. Whether you are pre-gaming or looking to celebrate an Orioles win, there are several nearby bars where you can grab a beer and a bite to round out the date. Tip: If you're celebrating a special event—like an anniversary of an engagement—you can call the park to make arrangements to have an announcement on the big screen. Oriole Park at Camden Yards: 333 W. Camden St. Many Baltimoreans don't take enough advantage of The Baltimore Museum of Art, a world-class art museum right in our city limits. The museum has a scenic sculpture garden, a groundbreaking contemporary art wing, and the largest holding of works by Henri Matisse in the world. Also within the museum is Gertrude's, a restaurant opened by celebrity chef John Shields. Best of all, the museum is free, so hopefully, that means you can spend a little extra on dinner. Tip: The museum also hosts many special events throughout the year, like Jazz in the Sculpture Garden during the summer months, that could make this an extra-special date. The Baltimore Museum of Art: 10 Art Museum Dr. Admittedly, it's a touristy date idea, but every once in a while you have to indulge in Baltimore's best attractions. Although there are plenty of restaurants and museums to choose from in the Inner Harbor, the crab deck at Phillips Seafood and a romp through the National Aquarium make for an unbeatable—and quintessentially Baltimore—date. If you have extra time, take an elevator ride up to the Top of the World, where you and your significant other can point out everything you love about Baltimore—and maybe, each other. 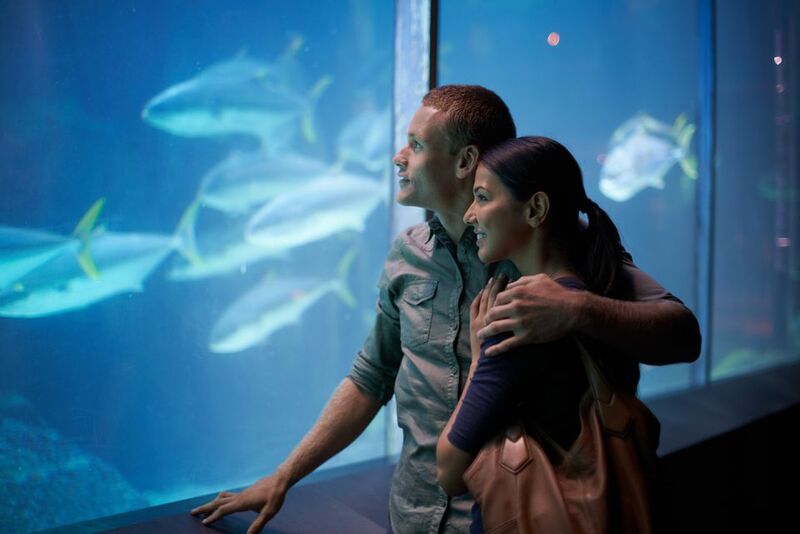 Tip: Plan this outing during "Fridays After Five" to snag a discount admission to the aquarium. Phillips Seafood: 601 E Pratt St.
National Aquarium: 501 E. Pratt St.